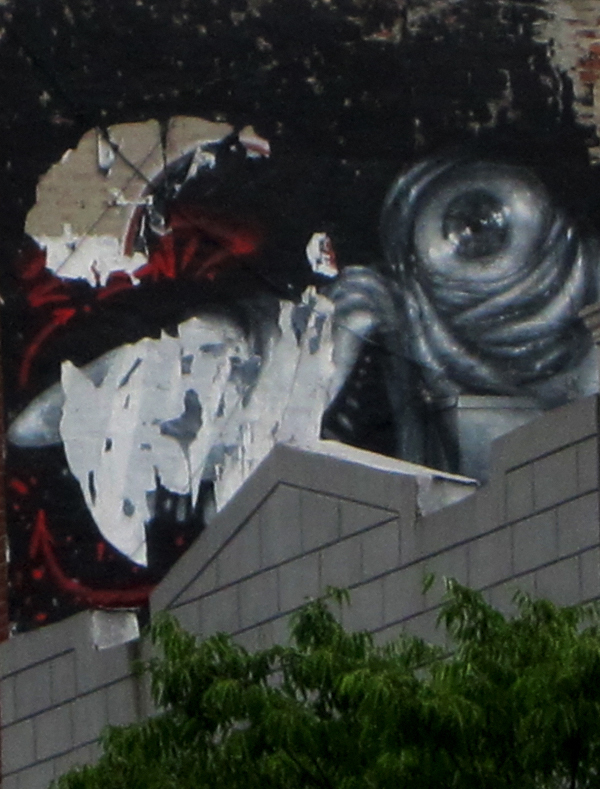 TODAY: Empty Cages Collective Hits Bedford Avenue! 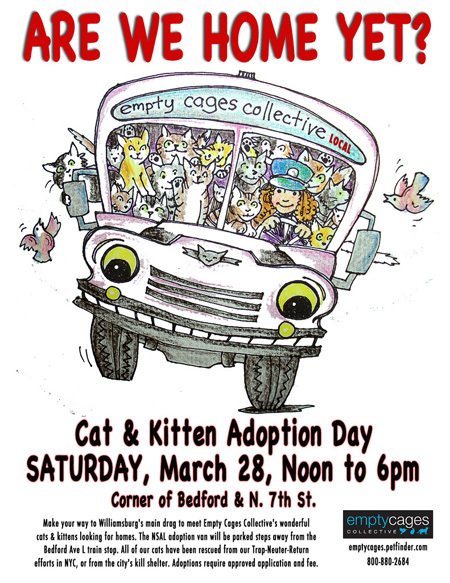 Make your way to Williamsburg’s main drag to meet Empty Cages Collective’s wonderful cats looking for homes. 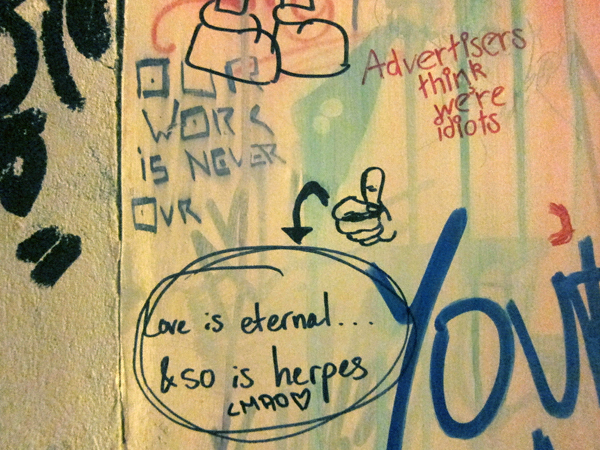 The N.S.A.L adoption van will be parked on Bedford Ave at North 7th St, steps away from the Bedford Ave / L train stop. Adoptions require approved applicaton & adoption fee, all of our cats & kittens have been rescued from our Trap-Neuter-Return efforts in New York City, or rescued from AC&C’s kill list. One such animal Empty Cages rescued from the “Euth List” is a little guy named Joshua. Follows is some footage where we get to watch him contentedly play with a catnip mouse while a volunteer tells his story! In closing I would like to announce that Empty Cages Collective is one of four charities Robert Guskind’sÂ friends and family have selected to receive donations in his memory. Head over to The Gowanus Lounge for more details. March 26, 2009 12:00 – 6:00 p.m.